As with any emergency, dental emergencies are always unplanned. 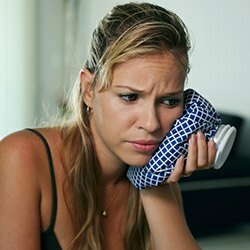 Whether you’re dealing with a knocked-out tooth or a severe toothache, however, one thing remains the same: you need to get help right away. For the people of Tyler, this is nice and simple, because all they have to do is call Dr. Dennis Stansbury. We’re ready to see emergency patients the same day that they call in so that no one is ever left waiting in pain. If you or a loved one ever need dental care right away, just give us a call and we’ll take care of the rest. Why Choose Stansbury Dental for Emergency Dentistry? 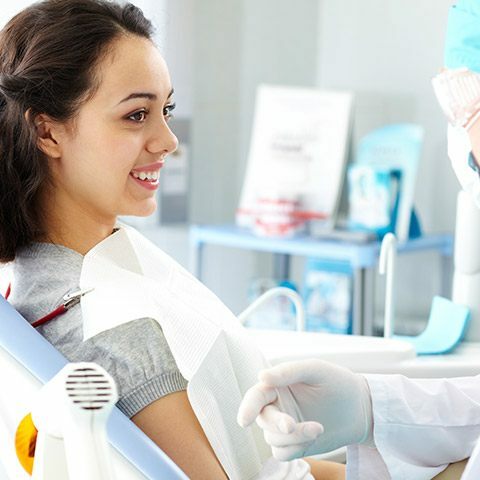 Dr. Stansbury, in addition to having over 40 years of experience practicing dentistry, is also a big proponent of using the latest dental technology. With the newest tools, he’s able to find, diagnose, and treat dental problems in less time than ever, which is especially useful during an emergency situation! Plus, he and our team know just how to calm emergency patients so they’re able to take the appropriate actions and get the care they need right away. Many patients with a dental emergency are tempted to head to their local emergency room. As a result, they’ll likely spend hours waiting to be seen. On the other hand, we’re willing to see emergency dental patients immediately because we understand time is of the essence when people are in dental pain. We alter our schedule to accommodate emergency patients so we’re able to provide relief when they need it the most. These are two of the most common dental emergencies, and the first thing you should do is always call Dr. Stansbury so our team can prepare to see you. Before you’re able to reach our office, try to recover any lost pieces of the tooth that you can. Have the victim gently rinse their mouth out with warm water and rinse the tooth as well. 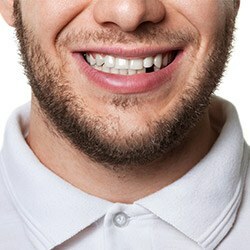 If possible, place the tooth back into its original socket until you’re able to see us. If this isn’t possible, put it in a container of milk or saltwater. It needs to stay wet in order to keep it viable! 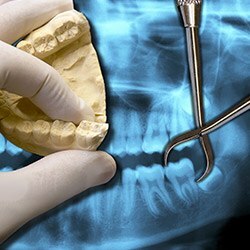 Some dental emergencies develop slowly over time even though they seem to occur all of a sudden. This is the case with a very painful toothache. After giving our office a call, you can take an over-the-counter pain medication to help deal with pain, but don’t place a pill directly on the gums, as this could damage them. You can also apply a cold compress to the face in 10 minute intervals to lessen any pain or swelling.